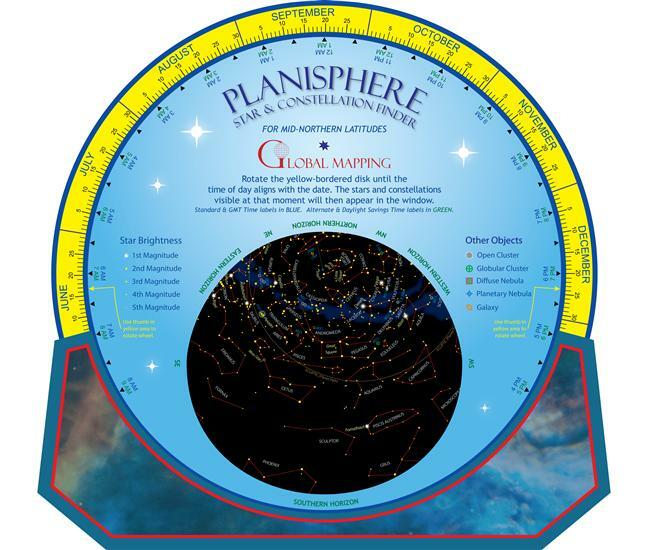 Planisphere, Northern Hemisphere...NEW 2 Sided Edition...- Global Mapping (ISBN: 9781905755615) | Map Stop | Top maps at a reasonable price in one place. 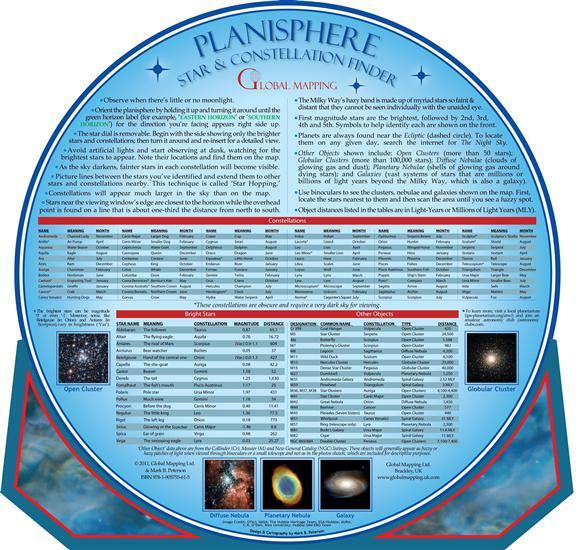 We were extremely pleased when our Planisphere was featured in 'Astronomy Now' magazine in December 2011 with an excellent review. The planisphere's unique two sided disc and no rivet covering up the Polaris - the North Star was liked! 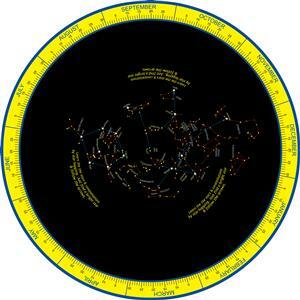 "This attractive, well-designed planisphere is among the best of dozens I have owned in its accuracy and ease of use. It is the one I consult when I want to know what is up and how the sky will appear tonight. It even went with me to the first ever White House Star Party" Stephen Pompea, Ph.D. Noted astronomy educator. This is the second edition and has an innovative design with a Two Sided Disk! Side 1 has a detailed view of the night sky whilst the reverse features just the brightest stars making it absolutely ideal for novice stargazers. Another innovation is that, instead of using a rivet to hold the apparatus together--covering up Polaris, the North Star--the map's outer frame holds the star wheel in place, permitting an uninterrupted view of the entire night sky. This also means that the star wheel can be removed and flipped over to reveal a simplified view of the sky with arrows pointing the way to brighter stars and constellations--handy for beginning stargazers. 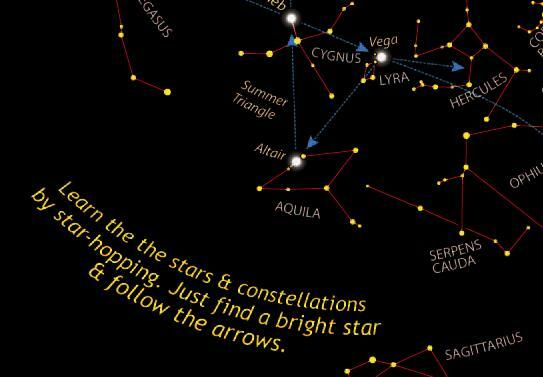 For newcomers and experienced users alike, the most useful and inexpensive tool for navigating the night sky is the Planisphere. Simply turn a dial to match time and date and see what the sky looks like at any particular moment. 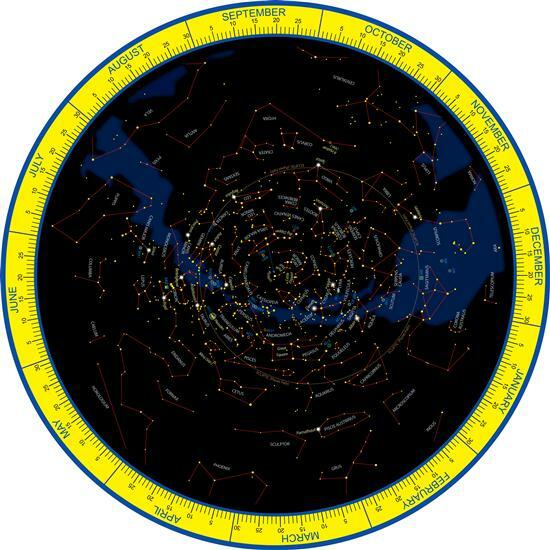 However, the problem with most planisphere's is that the shape of constellation patterns near the horizon is different on the map than in the sky. 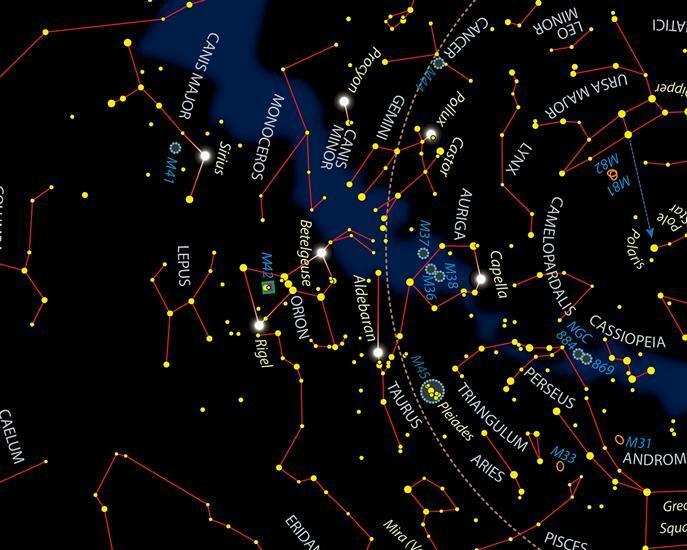 For example, the constellation Scorpius (the Scorpion) is elongated on a typical planisphere whereas on the Global Mapping Planisphere the distortion has been greatly reduced by gradually increasing the map's scale in the north-south direction. Of course, a certain amount of distortion will always be present whenever large areas of the dome-shaped sky-as on a planisphere-are mapped to a flat sheet of paper. The same distortion that affects constellation shape also makes the circular horizon line to appear oval. On the other hand, the Global Mapping Planisphere's horizon is round-just as observed outdoors. 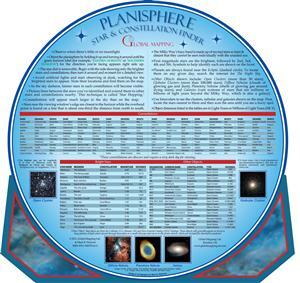 Constellation, Bright Star and Binocular Object tables that provide a wealth of additional data to make the Planisphere useful for years on end. Maybe you have an Astronomy class? Or maybe you're an amateur star-gazer? I dunno; but for whatever reason, you need or want a Planisphere -- and you're smart enough to check the reviews, so here we are. And that's good, because I assure you: THIS is the Planisphere you want. It's not the cheapest, but it's not the most expensive, either. It's neither the biggest nor the smallest. It may be the most colorful (and personally, I find that aesthetically pleasing), but that's not the reason why you want this one. No, the real reason you want this one is quite simply the *absence* of any rivet in the middle. Every other planisphere out there has a circular sky map attached to a rectangular frame by a rivet, which allows the sky map to rotate within the frame -- but that rivet also blocks a small chunk of the sky map's very center, which means that you can't see Polaris, the North Star (and usually several other nearby stars, the exact number depending on the scale). In THIS planisphere though, the circular sky map is not physically attached to the frame -- it doesn't NEED to be, because the frame is circular, and the disc of the sky map simply rests inside it. Gravity and a bit of tension (from your hands) are all that hold it in place. No rivet! Finally, a planisphere on which you can actually SEE Polaris! That point alone makes this planisphere superior to all others. Those who've used planispheres before will know how annoying those rivets are; and for those who've never used one, just take my word for it: This is better. 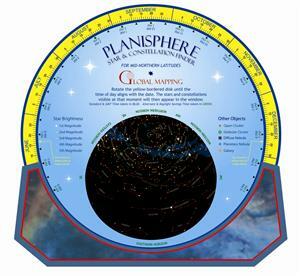 You'll notice that the sky window on this planisphere is circular, instead of ovoid (as it is on all other planispheres). The purpose of doing this was to reduce the distortion of the horizon line -- but it also had the effect of moving the East and West cardinal points upward (from 3 and 9 o'clock to something more like 1:30 and 10:30), which also makes determining the zenith point more difficult. It seems to me that it was merely trading one kind of distortion for another; and personally, I'd like to see this planisphere's ingenious no-rivet rotation frame combined with a more traditional oval sky window. But that point is debatable, and the question of which kind of distortion is "better" is entirely subjective. It's not hard to get accustomed to, and everything else is perfect. I highly recommend this planisphere! About the Planisphere's designer: Mark B. Peterson is former Curator of Gates Planetarium at the Denver Museum of Nature and Science. 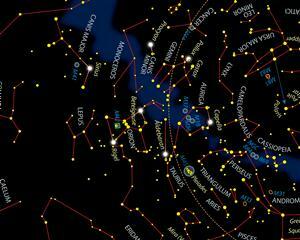 He is a published author who is also passionate about astronomy and star maps. Mr. Peterson resides in the Pacific Northwest region of the U.S.A.